This form is for individuals that are interested in organizing and presenting material in a panel at the 2017 Calgary Expo. Submitting this form is meant solely as a panel request to be reviewed by the programming team and does not guarantee you a spot in the programming lineup. To lessen the time involved during the selection process we ask that you provide as much information as possible including direct contact information, presentation requirements and formats, etc. If your panel is chosen, you will receive notification of the approval. Please be aware that we may need to limit the amount of panelist badges per panel. Your personal information provided will not be shared or sold to outside sources without your expressed permission. By submitting your panel request, you agree that Alberta Entertainment Expo Inc can record your panel for archive purposes only. Alberta Expo will not be reselling this footage to a third party. For any other questions or concerns please contact us at programming@calgaryexpo.com. Would you like help writing the Program Guide Description? There is so much to see and do at the Calgary Expo – it’s hard to know where to start! We know that planning is essential in order to take in everything your nerdy little heart desires. If you’re coming in from out of town, you can find information on the convention location and our official show hotels* on the LOCATION AND HOTELS page. Calgary Expo takes place at Stampede Park and the whole city gets in on the fun! *The Calgary Expo, Edmonton Expo, and Saskatoon Expo work exclusively with GTA Meetings for hotel bookings. Any other booking company or agency claiming to book for our conventions is not affiliated with us. GTA Meetings will not call or solicit to sell hotel rooms. 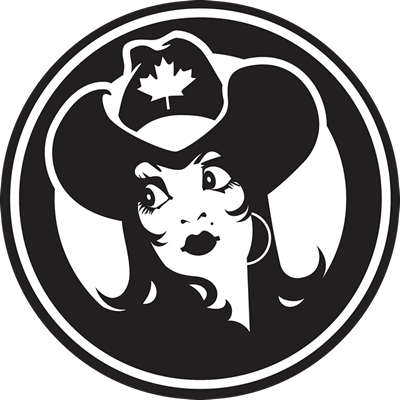 Calgary Expo features over 160 hours of programming including panels with Expo guests, workshops with industry professionals, costume contests and more. The PROGRAMMING schedule is posted online in April before the show begins and is distributed via a program during the Expo. Special Events take place outside of the main convention and are separately ticketed events. In the past, Calgary Expo Special Events have included one-night-only cast reunions of iconic films or television series (Star Trek: The Next Generation in2012 and Aliens, 2014), concerts (Weird Al Yankovic), and Meet & Greet cocktail parties with Media Guests (cast members from Torchwood, cast members from Game of Thrones). Take a look at what’s currently planned on the SPECIAL EVENTS page. The Calgary Expo SHOW FLOOR map is updated each year and posted online in advance so you can get a lay of the land before arriving for the big show. You’ll also receive a program with a full map when you arrive at Calgary Expo for easy navigation. The Calgary Expo EXCLUSIVE MERCH store is the hottest place to be when the show doors open. Preview the store online before you arrive and shop early for best selection. One of our favourite initiatives is the development of an annual collectors Artbook. Learn from about the ARTBOOK and CHARITY AUCTION and take part during Calgary Expo to support great causes and access incredible art. From table-top to classic arcarde, you’ll want to bring your A-game with you to Calgary Expo’sGAMING area.